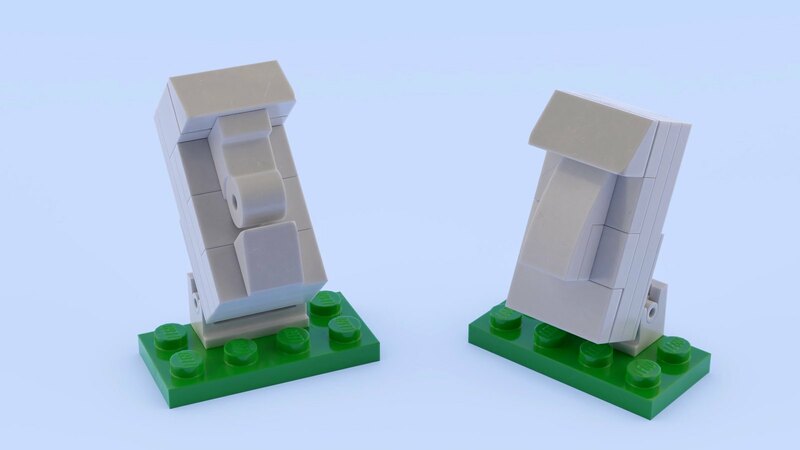 Blender render of the two different versions of Custombricks LEGO Moai. Although my original intent was to render each model to post on Mecabricks, I thought it would be useful to compare the two. To facilitate that, I imported them into Blender as separate models. Besides allowing me to position them separately, I could also turn off one or the other for the Mecabricks posts.